Mouthwashes: What You Should Know About Them? 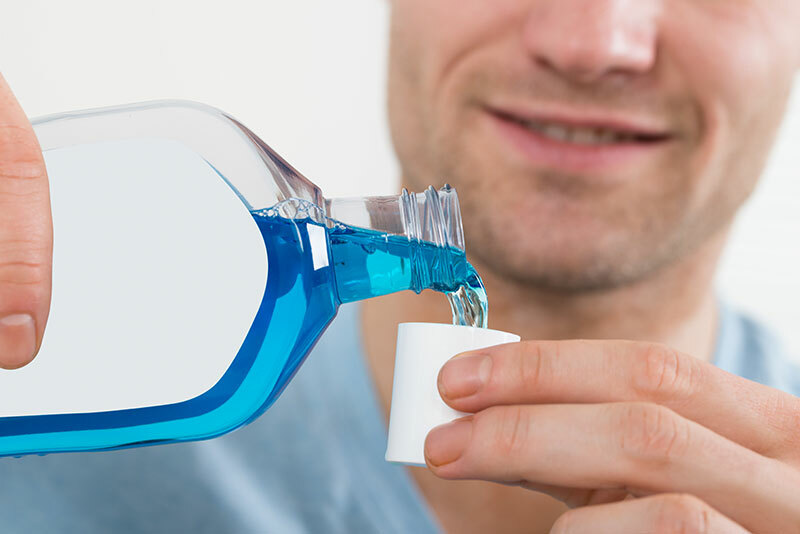 Mouthwashes are something dentists encourage patients to use. Of course, they aren’t a substitute for brushing and flossing. But, they can help kill bacteria and protect you against cavities and gum disease. There are over-the-counter cosmetic mouthwashes that you can buy in the store. There are also therapeutic mouthwashes available over-the-counter and also in forms that require prescriptions. Most importantly, some contain alcohol and others do not. An article at colgate.com explains that alcohol can cause further irritation if you have dry mouth. This is particularly true for a mouthwash that contains ethanol. Dry mouth can be a side effect of various medicines, diabetes, or other systemic diseases. If you have a canker sore or ulcers, an alcohol-free mouthwash can help heal it. However, if the mouthwash contains alcohol, it may further irritate it. Where Can You Find Alcohol Free Mouthwashes? Check the labels on mouthwash products. Many natural, organic and herbal products are available. Besides, these are alcohol-free. Also, they are antiseptic in nature, offering therapeutic advantages due to their anti-inflammatory and anti-fungal features. Selecting the right mouthwash is a personal matter and varies depending on physical conditions and personal needs. One type may work better for one person than another person. The American Dental Association (ADA) lists many that you can use and suggests buying a brand that carries the ADA seal of approval. Do You Have Questions or Concerns About Your Oral Health? Our dentists at Hutto Hippo Family Dental can help answer your questions about all kinds of oral health issues. We make your dental care personal and tailor it to meet your needs. Whiter Teeth: Is It a Myth that They Are Healthier? What Are Cavities and Why Treat Them? Gum Lift: What Is It and Why Get One Done?